Any pet owner can tell you that pets are messy. Whether you have a cat, dog, or something slightly more exotic, like a rabbit or a ferret that has the run of the house, you can easily end up with a mess on your hands. Cat use litter boxes, and have the unfortunate tendency to kick their litter around. Mats designed to catch the litter only do so much. Dogs need to go outside, and can leave muddy footprints around the house. Although smaller furry creatures (like rabbits and ferrets) stay indoors and have cages, they can get into things and make a mess as well. Of course, we haven’t even mentioned the pet hair left behind on everything yet! While many house cleaning services Arlington Heights do clean the homes of pet owners, they don’t specifically focus on the places where pet hair and other related debris get left behind. Sure, the carpet may be vacuumed and pet hair is picked up that way, but that might be all. To put it more simply, the standard clean does not focus on the areas and places that pet owners need it to. Enter the Pets Healthy Cleaning Program offered here only, at Fresh Tech Maid. 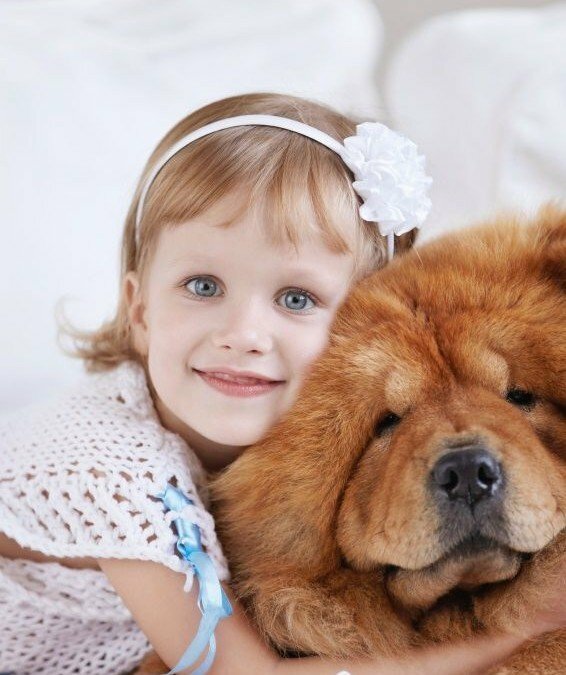 We devised this program specifically to address the needs of our pet-owning clients. Why do we call it the Pets “Healthy” Cleaning Program? The reason: because pets can easily bring bacteria and other germs into your home. Only a proper cleaning can make your home healthy, and we are all about the healthy side of cleaning! Pet Hair on Furniture – Removing pet hair from furniture is crucial. It sticks to upholstery and similar surfaces, and then stuck on your clothes when you sit on your couch, recliner, or other piece of furniture. As a part of our Pets Healthy Cleaning Program, we either vacuum or use a lint roller on the sides and backs of chairs, couches and other pieces of furniture. Anything that is exposed and easily viewable has the pet hair removed from it. We also vacuum and clean the undersides and tops of removable cushions. A standard cleaning regimen does not include these details. Marks Left on Walls, Windows and Doors by Your Pet – Pets leaves paw prints everywhere. Even if their paws aren’t dirty, smudges can be left behind on windows. If they press their noses against the window, then spots are left there as well. Cleaning these marks and smudges usually do not fall under the scope of a cleaning service, but we do take care of as part of our Pets Healthy Cleaning Program. These spots will be cleaned with the best efforts. Cat Trees – Most cat owners have cat trees. These wooden based, carpet and rope covered “trees” are tall and have plenty of places for cats to perch and lounge, as well as scratch. The bad thing about cat trees is how easily they are covered in cat hair. Obviously, cat trees are not cleaned in your typical cleaning service regimen, but they are vacuumed clean as a part of our special program with our true commercial grade HEPA vacuum. Pet Hair Under and Between Appliances, Cabinets and Other Areas of the Home – Pet hair doesn’t just end up on your furniture, carpeting and cat trees – it winds up everything in your home. Clumps of it tend to turn into the fur version of “dust bunnies” underneath things like appliances and between small spaces. As a part of our Pets Health Cleaning Program, we sweep, mop and vacuum as far as possible under and between appliances to clean up as much pet hair is possible. This is something that is unique to our program for pet owners. Cat Litter Boxes – Litter boxes are not covered in a standard contract or cleaning regimen. Unfortunately, they, and the mess around them, are simply left for the pet owner to deal with. However, our new Pets Health Cleaning Program does include this scourge of cat owners everywhere. While we don’t clean the dirty litter itself due to safety reasons, we do move the box in order to sweep up all of the litter that has been kicked out of the box by your cat’s paws. Pet Beds – Pet beds, like cat trees, are ubiquitous in the homes of pet owners. While a standard home cleaning regimen may include paying a little attention to a pet bed, our new program goes beyond that. In it, we not only shake out the pet bed (removing any debris that may be lurking on it), but we also vacuum it or use a lint roller to remove any fur. We also vacuum under the pet bed as well. Pet Food and Water Bowls – Your pets tend to make a mess while they eat and drink. They are animals, after all! As a part of our Pets Healthy Cleaning Program, we move your pet’s bowls and sweep or mop the area around them and under them. This may or may not be included in a standard (read: non-program) clean. Other Spaces in the Home Where Pet Hair and Debris Can Accumulate: These include the corners of rooms, the base of doors, the entryways, and the stairs. – All of these places are areas that may or may not be including a standard cleaning regimen done by an Arlington Heights maid service. However, in our Pets Healthy Cleaning Program, we take extra care in all of these areas to remove all pet hair, as well as any lingering dirt or sand that your pet has tracked in. Rugs are swept or vacuumed, carpeting is vacuumed, wood, tile or linoleum floors are swept and washed. Pet Hair on Human Bedding – No matter how hard you try to keep your pets from sleeping on your bed, they do anyway, and leave pet hair behind in their wake. Normally this is a level of care that is not tackled by in an ordinary clean, but as a part of our special program for pet owners, we use hair remover on your bed linens. The Pets Healthy Cleaning Program offered by Fresh Tech Maid, a top house cleaning services Arlington Heights, may be the only one of its kind in the Chicago area. It is designed specifically for pet owners, and concentrates on removing pet hair, smudges, and the debris that they leave behind.